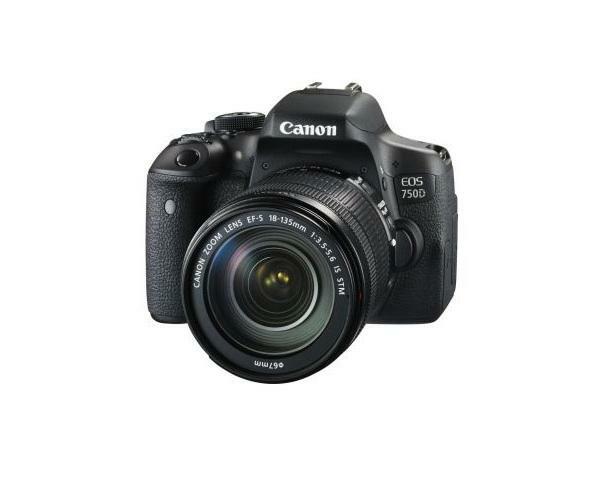 The Canon EOS 750D succeeds the EOS 700D introduced in 2013.Packing a high resolution 24.2-megapixel CMOS sensor and the DIGIC 6 Image Processor into a compact body is the EOS 750D DSLR Camera from Canon. 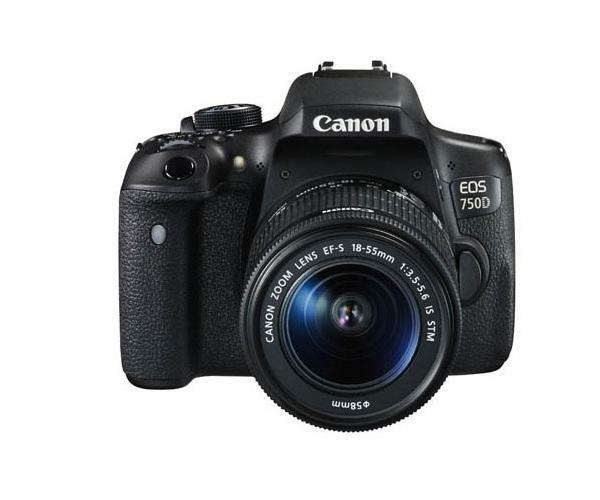 Imaging: The EOS 750D features a 24.2 megapixel CMOS sensor and DIGIC 6 image processor to produce high resolution images in a variety of shooting conditions. 19-Point All Cross-Type AF System: For fast, accurate focusing in a variety of situations, the 750D features a 19-point all cross-type AF system. This allows for speedy focusing performance when using the viewfinder as well as in area selection modes. Full HD 1080p Video Capture: Full HD Movie mode supports Movie Servo for continuous focus tracking of moving subjects during recording. Manual exposure control and a built-in stereo microphone with manual audio level adjustment provide high-quality control over shooting, and multiple frame rates and resolutions provide quality-level and stylistic shooting options. Built-In Wi-Fi Connectivity with NFC: Wirelessly transfer images and videos with the built-in Wi-Fi connectivity of the 750D. When used with the Camera Connect mobile app users will be able to quickly and effectively upload files directly to social networking sites. Screen: A 3.0" Clear View II Vari-angle Touchscreen LCD monitor with 1,040k-dot resolution provides clear composition and playback viewing even in bright light. Its tilt and swivel capability makes shooting at odd angles easy, and a smudge-resistant coating keeps the monitor clear.